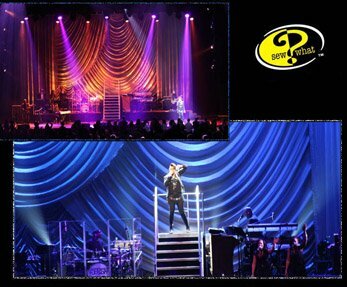 At Sew What, we’ve created Theatre Curtains and Stage Drapes for some of the largest public and private theatres, television stages, and traveling shows in the world. We’ve also worked with small intimate venues that have special requirements such as packing up the show and storing it or moving it between events. 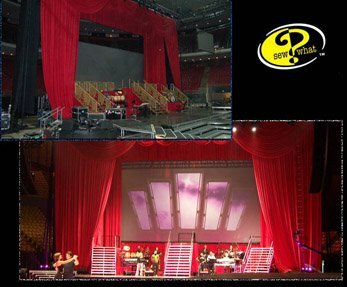 For over 20 years, we have performed in all facets of stage drapery, from backdrops to cycloramas to main stage drapes, including design, fabric choices, fabric coatings, fire retardency requirements and certification, hardware and mechanical systems. OK we don’t do lighting, but our fabrics make good lighting look great! 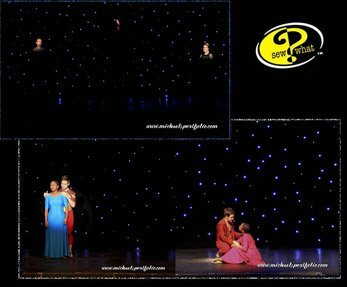 We offer all clients, regardless of size, the same excellent service and professional theatrical supplies and stage curtain products on time and on budget. I need a curtain – or a drape. Where do I start? 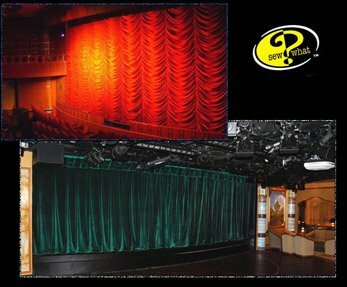 Theatre Curtains and Stage Drapes are largely custom, so a good place to start is by looking at our Stage Drape Portfolio for ideas and background, or visit our other key product pages below. 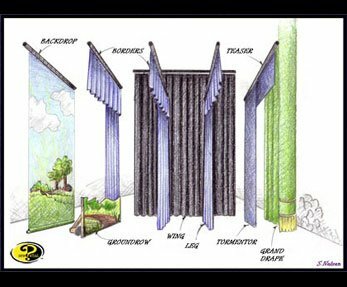 Confused about fabric selection? Check out our eswatches section. Visit our key product category pages below. 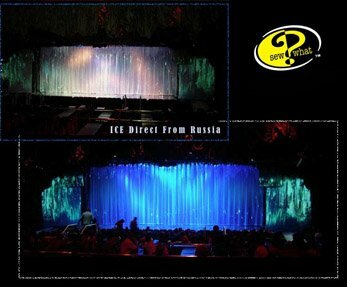 We welcome any questions that you have about stage curtains and their uses – general or specific to your need. Our motto is “There are no silly questions”. Call us at (310) 639-6000 or contact us online you’re your questions or for a free quote.